There are many differences between US, Canadian, and Mexico Insurance through MexicanInsuranceStore.com policies. Mexico law mandates that only ins companies which are licensed and admitted within Mexico can provide “Liability” coverage protecting you against damages you may do to others. Mexico Law does NOT however mandate that Mexican Insurance carriers be rated for financial strength or claims paying ability! The best Mexico Insurance through MexicanInsuranceStore.com deals are found online! Claims for Property Damage to third parties are settled on an “actual cash value” basis, guided by Mexico Insurance Law. It may be important to understand, that the liability insurance you purchase from any Mexican insurer will not respond to claims or suits brought against you in the United States or Canada for a loss which occurred in Mexico. All liability claims under a Mexican insurance policy must be settled in Mexico for coverage to apply. A few US companies will extend physical damage coverage within a few miles past the US border, but not “Liability” protection. For this reason, its a good idea to check with your US or Canadian agent or insurer before you leave home in order for you to understand more thoroughly what is not covered. Mexico insurance through MexicanInsuranceStore.com is very comprehensive, but all Mexico insurance is different and nothing is standardized, with more than a few unrated insurers limiting coverage in order to reduce price and their obligation to pay claims as there are no “standard” Mexican Insurance policies. For example, as unbelievable as it may sound, annual policies are still sold at the border today with an exclusion within the policy in fine print that limits an insureds time to 90 days during any one policy year. Rates, coverage, limits, deductibles and claims paying ability vary greatly among Mexican insurers. Is your agent selling un-rated or non-rated insurer policies? All Mexico Insurance through MexicanInsuranceStore.com policies are independently rated A or A+ or better. You should ask questions such as, does the insurer include Legal Assistance, Bail Bond, Roadside Assistance at no extra cost? Mexican insurance sure does. Are the more serious claims handled in the United States, saving you the time, frustration, and expense of traveling multiple times to Mexico to fullfill your legal obligations? Does your carrier allow you to repair your vehicle in the US or Canada, not just Mexico? Mexico insurance through MexicanInsuranceStore.com sure does. Are you purchasing a snail mail handwritten paper policy from a local agent? or an electronic policy? This knowledge will help you tremendously in the unfortunate event of an accident. Most Mex auto ins policies EXCLUDE vandalism and partial theft, but coverage can be added by endorsement with quality insurer programs. Mexico Insurance through MexicanInsuranceStore.com is written on a “named perils” basis and “Full Coverage” includes physical damage to your vehicle, total theft, fire, and other perils. Dozens of US agents, gas stations, towing companies and on and on offer coverage at the border, but you should ask yourself how many agents specialize in Mexico Auto Insurance and nothing else? Half a dozen? How many agents sell car insurance from non-rated insurers primarily because weaker insurers usually pay higher commissions? If commissions are higher than normal, how much premium is left to actually pay claims fairly? As our worldwide economy continues in a state of uncertainty, it may be more important than ever to purchase a Mexico Insurance through MexicanInsuranceStore.com policy from a financially strong insurer. No matter how much you trust your agent, if they are placing your insurance with a non-rated carrier you could be in for a surprise in the event of an accident. You will benefit by purchasing Mexican insurance coverage with an experienced specialist. Remember, everyone is always happy and thinks they got a GREAT deal until they have an accident! Whatever you bring to home, small goodies can mean a lot to friends and family members. Prices are not essentially expensive; you buy some stuff like souvenirs. Riding a motorcycle is a life-time experience which calls your attention to upgrade your riding skills. Reading some advice online is super helpful. 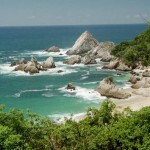 Previous post: Mexico Auto Insurance Coverage from MexicanInsuranceStore.com – San Diego to Tuscon to Rocky Point!